In 2005 Bob Kraft, the owner of the New England Patriots National Football League team, went with a delegation of other Americans to visit Vladimir Putin in Russia. When the Russian President began admiring Kraft’s Super Bowl ring, the owner of the Patriots took it off to give Putin a closer look. Without saying a word, the President of Russia placed the ring in his pocket and then promptly walked out of the room. Horrified, the owner of the New England Patriots wanted desperately to get his ring back, but he also didn't wish to create an international incident. Long story short, the New England Patriot's front office determined there was nothing that could be done and eventually issued a press release that the ring had been "given" to Putin as a gift. Only gullible people believe the cover story since had Bob Kraft wished to bestow a gift upon Putin, he would have had another ring made, not given him his own. 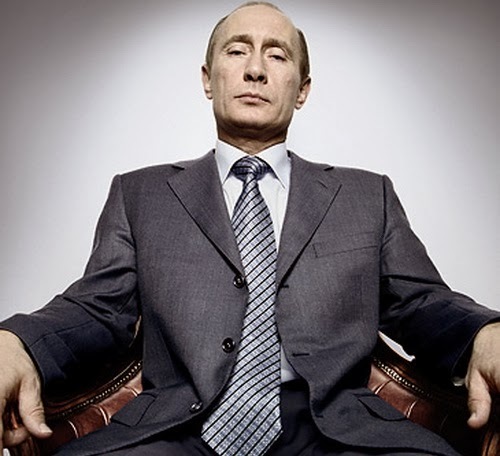 This true story reveals the personal character of Vladimir Putin. Steven Covey says, "Public behavior is merely private character writ at large." As Russian troops effectively govern Crimea today and Russian tanks sit ready to invade Ukraine, it is worth noting that what Putin wants, Putin takes. However, this time, it's not a ring, it's a country or two. Putin is building an empire. At some point, somebody somewhere will need to stand up to the Russian bully. Unfortunately, it takes a leader with principles and the moral fortitude and willpower to stand up to a dictatorial bully. The greatest generation of Americans had such leaders, but our generation has created a culture more interested in movie stars and their Oscar selfies than military strategy and international crises. The United States should be very deliberate before standing up to an international bully. It's a matter that must involve both Congress and the President, but history teaches us that until somebody with principles and courage stands up and says "no" when one ring is stolen, the bully winds up taking everybody's rings. Crimea is the first national ring taken. Who's going to say "Stop!" to Putin and actually mean it? Is there anyone you are reading or know addressing the Budapest Pack of 1994 which was signed by the US, Great Britain and Russia, among others, which guaranteed the territorial rights of Ukraine in exchange for giving up its nuclear weapons? I'm wondering if our guarantee of their protection and treaty status is not a major US interest, but it seems everyone is saying there is no US interest at all. I'm wondering if a failure here might increase the number of countries who would use this kind of US thinking as a reason to choose to pursue a different direction about nuclear weapons. I'm not saying I know what should be done, but I do have questions about what those with foreign affairs responsibility for the USA are failing to do. I realize that the situation is extremely complex. The difficulties abound, but I'm not sure Americans understand the seriousness of doing nothing as well as the seriousness of doing something. Those kinds of dilemmas create monumental moments in history. Obama to Ukraine, "If you want your country, you can keep your country." Leave this alone. Putin will do what is in the best interest of Russia and I don't blame him. We don't need to interfere here. I don't necessarily disagree with you. My point is different: "When it comes time to draw the line, only those with moral fortitude will hold it." We start drawing lines with Russia and we will be at war with them sooner than later. There might be a time to do this such as the Cuban missile crisis but we had our nation at risk then. I say leave this Ukraine problem alone. You’re right about Russia being a bully. At a check point right after World War II was over, a Russian guard held his gun within two inches of my father’s head while his papers were checked. There was so much friction between the two armies, that Germans would not rebuild their bombed towns because they thought they would be the battleground between Russia and America. General Patton wanted to ‘finish’ the war with buy guys and Russia was next. I'm getting old..."buy guys" was supposed to be 'BAD guys'. I was discussing the current crisis with my husband. My husband also feels that our position is weakened in the world (and will be for a long time to come) because of the invasion and takeover of Iraq, which was not a part of the 9/11 attacks, nor an imminent threat to our country. I'm not sure how right he is, but I do know from friends in England and family in Canada, that the US is less respected after Iraq than before, in those countries which are two of our strongest allies. Apparently, they felt that our government used 9/11 as an excuse to attack a country not really involved in those terrible attacks. Some speculation in England is that at very high levels, someone in our government was after control over oil lands. I asked a Dutch friend living in this country about this, and she said it was felt at the time that a bad decision had been made on our part. I wonder what people here think about these ideas. Wow, did know Neville Chamberlain was posting. Impressive. I’ve got 32 years in the uniform of the United States Army. I’m waiting for one of the commenters to enlist and volunteer to lead the charge against the Russkies in Ukraine. I’m waiting. . . .